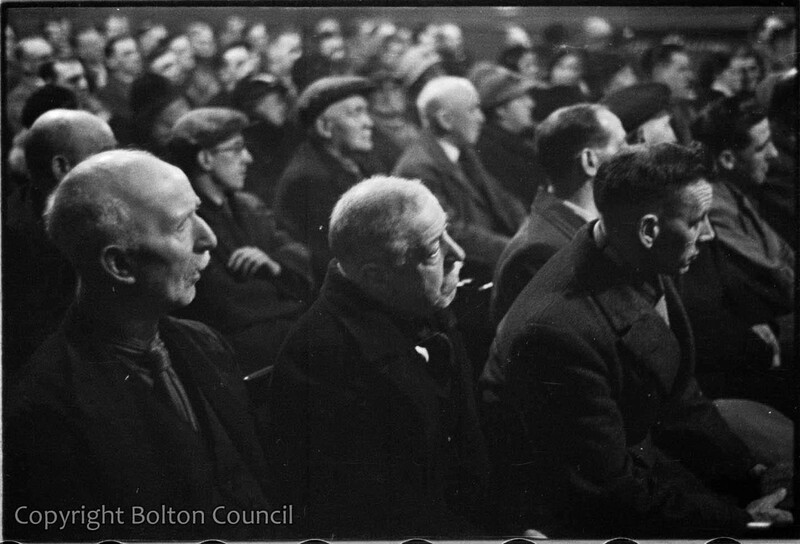 The audience at a National Government election meeting at the Co-op Hall in Farnworth. The National Government was an all party coalition, but the local candidate Herbert Ryan represented the Conservative Party. He lost his seat to Labour candidate George Tomlinson in the January 1938 by-election.